Fleurety is a Norwegian avant-garde metal band. The band was formed in 1991 by Svein Egil Hatlevik and Alexander Nordgaren. The band released their first demo Black Snow in 1993. 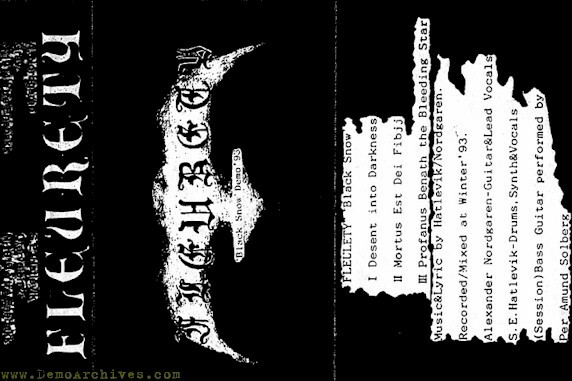 After that came the 7" ep A Darker Shade of Evil in 1994, released via the English label Aesthetic Death Records. Both of these were in a fairly traditional Norwegian black metal style, although with very high-pitched screaming vocals giving the band a characteristic sound. Some of the tapes were duplicated at home, others were pro printed. If I remember correctly we made some 100 copies ourselves, then we got bored with that, so we ordered some pro printed ones (Svein). 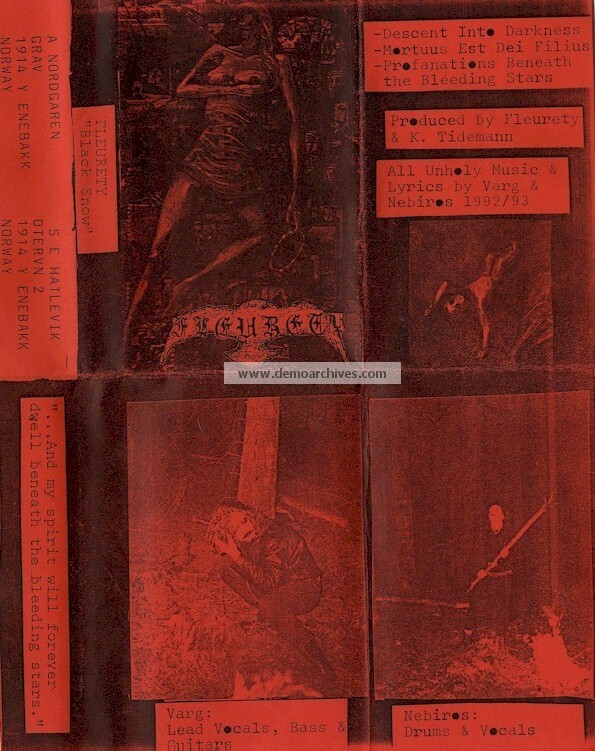 The covers were red xeroxed which depicted a painting called "Madonna tar av seg glorien" (The holy virgin removes her halo) by Norwegian painter Håkon Bleken on the front. This may be a bootleg. Fleurety confirmed that they have never seen this cover before!